-Protects cell phone signal amplifiers from power surges typically caused by lightning strikes to antennas mounted outdoors. 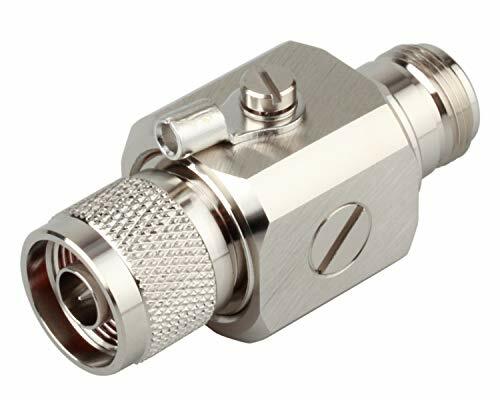 -Designed to be placed between amplifier and outside antenna cable connection, need to be grounded. -Ideal for Cell Phone Signal Boosters, WiMax Base Stations, 802.11a/b/g/n WiFi or WLAN Network, RFID System. If you have any questions about this product by GIMILINK, contact us by completing and submitting the form below. If you are looking for a specif part number, please include it with your message.